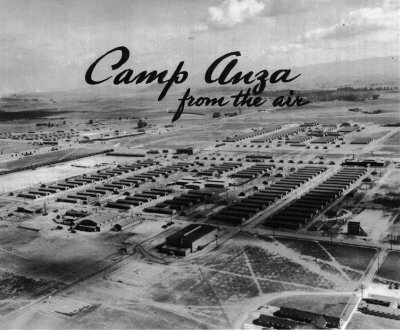 Camp Anza (117.46W 33.95N) was an important Army staging camp for the port of Los Angeles, established on 2 December 1942. It had an acreage of 1241 acres (502 hectares) and barracks for 9678 men in June 1944. The average stay was 8 to 10 days.